The Manifesto Club was a signatory on a letter to councils considering PSPOs outside abortion clinics – along with co-signatories Big Brother Watch, Index on Censorship, Peter Tatchell, and the Freedom Association. The letter was sent to the following councils: Lambeth, Richmond, Southwark, Portsmouth, Birmingham, Manchester and Leeds. 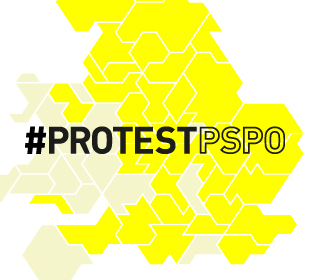 We are writing to express our grave concern about your council’s plans to introduce a PSPO targeting protest outside an abortion clinic. We respect a woman’s right to abortion, and her right to seek this service safely, without obstruction or harassment. However, we are also defenders the rights to protest and freedom of expression, and these rights also require protection. Ealing Council’s ‘Marie Stopes clinic’ PSPO was so widely drawn as to impose potentially unlawful restrictions on the rights of freedom of assembly and freedom of expression. Specifically, we objected to the restrictions on 1. ‘protest, namely engaging in any act of approval/disapproval…with respect to issues related to abortion services’ (including ‘prayer’ and ‘counselling’); and 2. ‘Displaying any text or images relating directly or indirectly to the termination of pregnancy’. Where groups interfere with access to abortion services – through harassment, abuse, obstruction, or surveillance – then this is already prohibited under existing law. For example, the Public Order Act 1986 prohibits causing harassment, alarm or distress and includes a specific power to impose conditions on assemblies that seek to intimidate others to not do an act they have a right to do. If policing were increased at the site, it could be seen if violations of these laws were occurring, and rights could be protected accordingly. We would urge the council and police to use existing powers, targeting specific problems and violations of the law. There has been a consistent failure in the use of PSPOs to make a distinction between activities causing objective nuisance or harm, and activities with which people disagree, or that they find disagreeable. Tellingly, Ealing Council noted that ‘Evidence may not meet harassment threshold as defined in the (Protection of Harassment) Act’. This cannot be the way of a just and free society. It is important that authorities uphold both women’s rights to safely access reproductive health care, free from harassment or discrimination; and the right to freedom of expression. However, the construction of a ‘Safe Zone’ using a PSPO would unfairly inhibit lawful protest and sets a dangerous precedent for freedoms in the UK. Therefore, we urge your council to drop plans for a PSPO and to explore other resolutions.